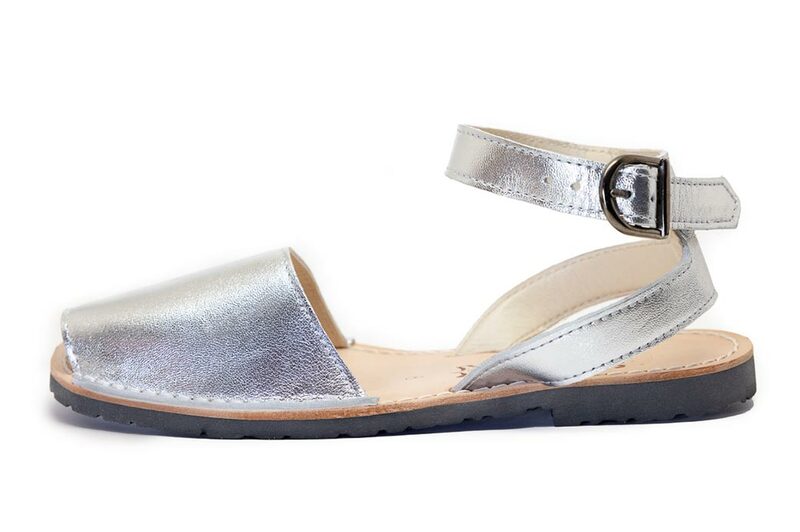 With the versatility of Grey but with a pop of shine, our Ankle Strap Pons Avarcas in Metallic Silver can seamlessly fit into any wardrobe. Our Pons sandals are produced with high quality all natural leather, have a lightweight rubber sole, an adjustable buckle closure and each pair are handmade on the Spanish island of Menorca. These bright metallic beauties can match denim, dresses, skirts, and be that extra sparkle desired during holiday season.